Choose from all types of NY winter getaways where you can enjoy skiing, snowboarding, snow tubing, and other cool winter activities. 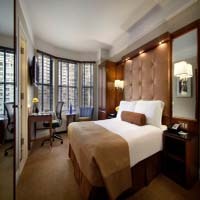 Read about some of the highest rated New York winter getaways! Spend a Memorable Winter Getaway at a Top NY Ski Resort! 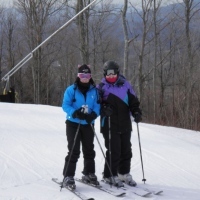 Share a memorable time with family and friends at Windham Mountain, one of the loveliest ski resorts in NY! On site you'll find 46 trails and 9 lifts. The highest peak is situated at 3,100 feet with a vertical rise of 1,600 feet from the base. You can also go snow tubing nearby at Mountaintop Adventure Park. 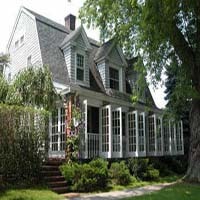 Lodging is available at the Winwood Inn. 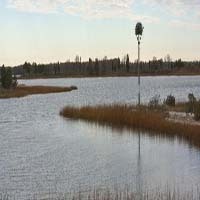 The four-season resort also offers activities like biking, golfing, bird watching, hiking, and horseback riding. For dining options, you can grab a delicious Mexican meal at the Rock'n Mexicana or enjoy fine dining and cocktails at the Seasons Restaurant, located within the Windham Country Club. All of us should have a little getaway once in a while, especially during the gloomy winter months. The Mill House Inn can be a great option for this. It is one of the best winter getaways in New York. You can have your Eternal-Sunshine-of-the-Spotless-Mind moment, and make angels on the beach. The Mill House Inn has eight beautifully appointed cozy rooms. They have a mouthwatering ambitious breakfast menu which includes vermont cabot, creamery omeletes, blueberry pancakes and Sloppy Joe scrambles. There is something so cozy and nice about visiting here in winter. You would not regret going here. All of us get bored with our routine life sometimes. It gets worse in dull and gloomy winter. A winter getaway can be a great option to escape from this boredom and spend some time of your own. 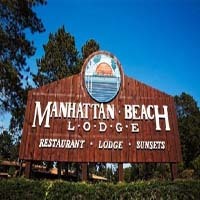 A perfect option for this is Manhattan Beach Lodge. It is one of the best winter getaways in New York. At Manhattan Beach Lodge, nature will surround you inside and out. You will be thrilled to walk into a northerly rustic, beautiful, and clean hotel. Also, the service is so friendly and polite. Visiting here is worth every penny you spend. Sometimes every one of us looks for a place to escape from boring daily life, especially during the dreary and slushy winter months. Fire Island is a perfect option for this. It is one of the best winter getaways in New York. This place looks like a postcard with its red firehouse, pizza parlor, grocery store, beach and playground. You can rent lovely homes here. Most of those houses come with outdoor showers. 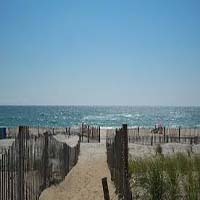 You will have enough opportunity to spend the days relaxing at the beaches and having lobster rolls for lunch. Coming here in winter is definitely a good idea. We live a busy life. Sometimes it is needed to escape from this busy city life and go someplace where we can spend some time of our own. Especially in winter the city feels dull and gloomy. For this there is a great place called North Fork. It is one of the best winter getaways in New York. There is so much to do. You can tour one of their many vineyards or rent a boat for the day. You can rent a beautiful house to stay at or book a good hotel. There are so many option to make you happy. Each of us gets bored with our daily life sometimes. It gets even worse in dull and gloomy winter. Sometimes we want to escape from this boredom and spend some time of your own. A perfect option for this is The Montauk Beach House. It is one of the best winter getaways in New York. The lobby and rooms look as if they are straight out of a Restoration Hardware catalog. They have friendly and helpful staff that will look after your every necessity. They have a pool where you can socialize with other guests. It is really a great place to spend your money. It is really very hard to find some quality place to spend with family in winter. Bronx Zoo can make you free from this problem. It is one of the best winter getaways in New York. This Zoo does not hunker down for a long, cold winter. Instead of that they arrange wildlife-themed Ice Carving Week, a celebration of all things icy. The event is jam-packed with demonstrations, competitions and activities, all inspired by the frozen sculptures and the animals that thrive alongside it. It is a real family fun time going there in winter. All of us crave for a little getaway once in a while, especially during the gloomy winter months. Hotel Chandler can be a great option for this. It is one of the best winter getaways in New York. You can get swept away from your apartment to a special staycation in here. It is a member of Small Luxury Hotels of the World. It’s classic design elements reflect the timeless character of their 1905 Beaux-Arts building, while contemporary touches like complimentary high-speed Wi-Fi access, high-end dining, and a modern fitness center provide unparalleled comfort and convenience. Dull and gloomy winter brings so much boredom to us. No wonder what it does to children. To rescue our little angels as well as us there is a wonderful place named The Staten Island Children's Museum. It is one of the best winter getaways in New York. This Museum appeals to the intrepid explorer in every child. They have toddler-friendly displays and several different themed rooms (like block harbor, a bug's life and a construction site room). It’s the perfect place to bring your energetic and curious children especially in winter when they have only a few options to entertain. We get bored with our daily routine life sometimes. It gets even worse in dull and gloomy winter. A winter getaways can be a great option to escape from this boredom and spend some quality time with your family. 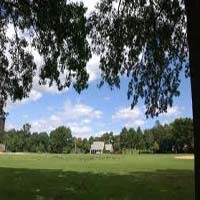 A perfect option for this is Clove Lakes Park. It is one of the best winter getaways in New York. The park is well kept and the scenery is beautiful. It has something for everyone - A playground for kids, baseball fields, basketball courts, walking trails, fine dining and boating on the lake. We all want to escape from winter. It is not possible to get free in all winter. But we should take some time and go for a getaway. It really helps to erase the boredom of winter. 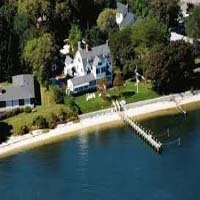 Harbor Knoll Bed and Breakfast can be a great option for this. It is one of the best winter getaways in New York. It is located in a nice area. You can’t ask for a better location. You can enjoy a warm and serene environment here. They provide exquisite and genuine service. You will feel that you are in a home away from your home.